Aldo Valencia is a Client Executive for Horton’s Employee Benefit Solutions. In this role, Aldo is responsible for providing expert employee benefits consulting, bringing new clients on board, and servicing and retaining existing clients. He is part of a team of employee benefits-focused professionals who are dedicated to delivering innovative healthcare solutions to employers. Aldo comes to Horton with over 20 years of insurance experience, beginning in 1999 on the carrier side. 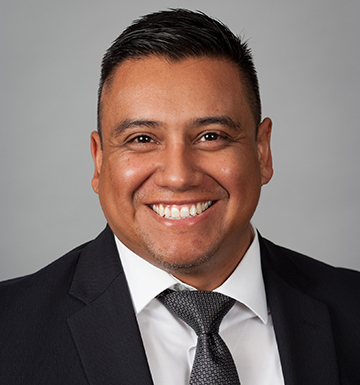 Before coming to Horton, Aldo was an Executive Director at EIIA, Inc., Vice President at GCG Financial, and Senior Benefit Consultant at Hub International. These combined experiences helped develop his expertise, today. Aldo is most complimented for his organization and project management. His ability to master these fosters a great team collaboration at Horton, but also for clients, ensuring an industry-leading client experience. Aldo pursued his bachelor degree from Roosevelt University and began professional work while doing such. He ended up never looking back. He was born and raised in Chicago and remains involved with numerous nonprofits in the area.